Manufacturer of a wide range of products which include siemens power supply and sitop lite. 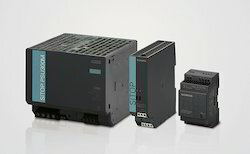 We offer wide range of Siemens Power Supply. These are made form high quality raw material.we provide these power supply equipment in various specification. We also provide these power supply equipment as per the details given by patrons. We offer wide range of Sitop Lite. The wide-range input with manual switchover supports connection to a wide range of 1-phase supply systems. Thanks to the narrow width, the primary switched-mode regulators require little space on the DIN rail and can be easily integrated. 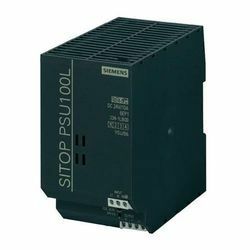 Looking for Siemens Power Supply ?